Antioxidants are found in foods and supplements. You may have seen antioxidant supplements and wondered, are they effective? You can find the answer to this question at Brain Enhancement Advisor. We provide an online resource for you to learn about natural supplements, how to improve mental clarity and focus, and read product reviews to find the best supplements. Antioxidants are substances that have been shown to offer a wide variety of health benefits, due to their ability to protect against damage caused by oxidation of the cells of the body. Research has found antioxidants offer benefits for everything from anti-aging to prevention of cancer and Alzheimer’s disease. 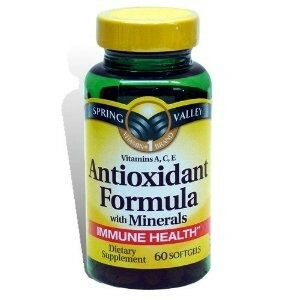 The ability of antioxidants to protect brain cells from damage offers benefits for mental clarity, memory, and focus. The foods that are rich in antioxidants include colorful fruits and vegetables, so include some of these foods in your diet each day. Antioxidant rich fruits include bananas, cantaloupe, mango, apricots, and watermelon. Another good source of antioxidants are green leafy vegetables, including spinach, romaine lettuce, kale, chard, and broccoli. In addition to the foods you eat, you can boost antioxidant intake by making better beverage choices. Tea contains antioxidants that are known as polyphenols and green tea contains more of this substance than other types of tea. The health benefits of green tea include protecting the brain from damage caused by free radicals, slowing the aging of the brain, enhancing memory, and increasing alertness. Of course, consuming antioxidants is most effective when you eat whole foods that are rich in antioxidants. However, many people find they are unable to get enough of these substances through diet alone. In this case, good quality antioxidant supplements can help cover the gap. It is important to remember that any supplement is only as good as its ingredients, so choose quality supplements. At Brain Enhancement Advisor, we have detailed independent product reviews of supplements to improve memory and focus. You will find information about the quality of the ingredients; overall effectiveness, and other details to help answer the question, are they effective? We encourage you to read the reviews and use the comparison chart to see how different antioxidant supplements compare. This information can help you make an informed decision before you spend money on supplements.